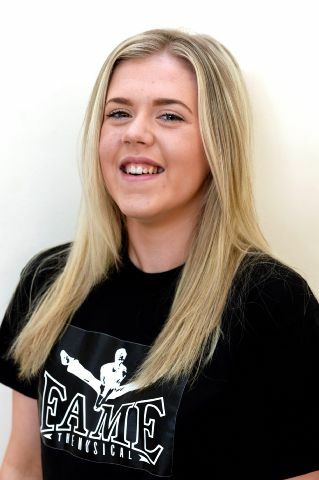 When Kim Fisher relaunched Workington and District Amateur Musical Society's junior section seven years ago, little did she imagine she would be starring in its latest show. Yet, as rehearsals hot up for next month's production of Fame, Kim, 25, is preparing to take to the stage alongside a cast that includes the final original member of her relaunched group. After starring as Nancy with a large cast of children, Kim decided she would like to see Wadams' youth section take on a year-round focus. 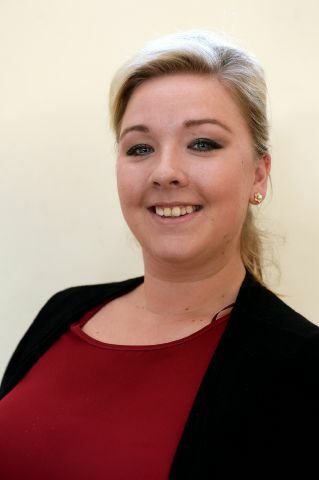 Kim, a nuclear industry contracts co-ordinator, of Ennerdale Avenue, says: "Previously every time we did the pantomime, which was the main thing that pulled the youngsters in, it was like starting again because only about 30 per cent of the kids were returning members. "We did Oliver and had a whole new bunch of kids. We decided to give it a bash making it a regular thing." Working with Victoria Sharples, another longstanding Wadams member, Kim launched the improved Wadams Next Generation group, giving the children more shows and concerts to focus their talents on throughout the year. Seven years on, she is preparing to take to the stage as Miss Sherman in the group's production of Fame The Musical. Also on the cast is Georgia Hunter, 16, of Gray Street, who joined the new junior group after appearing in the chorus in Oliver. A keen dancer since the age of three, Keswick School pupil Georgia has seen her talent develop during her time in Wadams and enjoys taking to the stage. She says: "I've improved a lot and I feel myself improving all the time. "It's something nice to do after school to come to rehearsals and just dance. "The moves have got a lot harder over time and it's a lot more technical." Georgia is keen to head to university to study dance and drama after her A-levels but in the short term she has another move on the cards. She is now old enough to progress to Wadams' adult section and is looking forward to taking part in her first show with them. Georgia says: "It's not like I'm starting something new. It's just another section of the society. "I've been here so long I feel like I know a lot of people." Having role models like Kim has helped Georgia during her time in Wadams and may help her make her transition to the adult section. She says: "Kim played a really big role in Oliver and won an award. It makes you want to do that yourself." For Kim, performing alongside the youngsters in Fame has led in a small way to art mirroring life. As Miss Sherman, she will perform a song entitled These Are My Children, in which the teacher tells of her calling to teach. While the circumstances are different, the sentiment has echoes of Kim's role leading the younger members of Wadams. She says: "I spend half of the song getting choked up. I'm okay if I don't look at them. "I enjoy doing this. Twelve months ago I thought I was ready for a rest because I do a heck of a lot on stage as well with Wadams and Workington Amateur Operatic Society. "Then I came to rehearsals for a concert and they couldn't get me back out. I didn't realise how much I missed it until I was back. "There are 10 or 12 of them who are between 15 and 17. I think it will be the last show with that group all together. This is definitely their year. "They have come on a great deal. I love coming to rehearsals." Kim hopes Fame won't spell the end for the original Next Generation membership. Members can perform with both the juniors and the adults until they reach 18 so she hopes Georgia and her fellow teenagers will stick around for a couple more years. Fame runs at the Carnegie Theatre in Workington from September 9 to 12 at 7.30pm. Tickets are £11 each or £40 for a family of four.